In our previous post, we drew attention to the fact that a successful NDC strategy is far more involved than adopting a standard API. It’s a distribution program with a broad range of imperatives, including having a solid business case. Sometimes, it’s like a game of ‘Snakes and Ladders’ with ample opportunity to boost success, but also plenty of potential pitfalls to avoid along the way. As a follow up to that initial discussion, we turn our attention to another prerequisite for success – an adoption strategy, which should ideally have three paths. We hope you will find the advice useful when navigating your NDC journey! Once you have an NDC-standard API in place, you need to connect with as many customers as is feasible in your indirect channel to maximize the reach and associated return. As we see it, there are three paths to far-reaching NDC API delivery. NDC Connect – identify your high value customers and invite them to connect directly with your NDC API. With technical support from your technology vendor you will be able to manage the integration and configuration quickly and efficiently. Another option in this path is to establish your own direct relationship with large agencies who have already invested in connecting to airline content via an NDC API. Notable examples include: HRG, Travelplanet, El Cortes Ingles, and Travix. NDC Tech Connect (Tech Aggregators) – forge relationships with tech aggregators such as Travelfusion and AERTICKET. Ask your NDC provider for a list, and then invite aggregators to connect to your NDC API. As these companies are the technology providers for multiple travel agencies, this approach will provide widescale access to your NDC content in what we call ‘the multiplier effect’. NDC GDS Connect – it was not long ago the GDS' were seen to be dragging their heels when it came to NDC. That position has changed dramatically over recent months. At the time of writing, Amadeus, Sabre, Travelport, and Travelsky are actively working on NDC including enhancements to their agent desktops. That is great news in the context of your reach as the GDS' already have commercial relationships with your customers globally. That is great news in the context of your reach as the GDS’ already have commercial relationships with your customers globally. 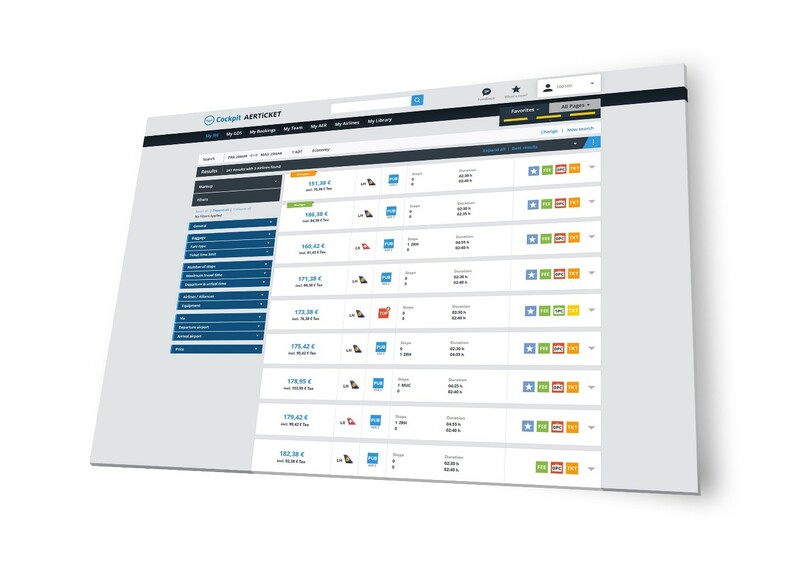 By inviting the GDS' to connect to your airline’s API, you will have your offer in the hands of more customers, faster. For airlines looking for revenue return, this is a stand-out opportunity to consider. Inviting partners to connect to your NDC API is the first step – but what will encourage them to continue down the NDC path? In the next article, we will look at some ways to forge strategic cooperation with the customers and partners who have the power to make your project a smashing success! If you are interested in exploring the possibilities of NDC with the world's most experienced NDC technology provider, schedule a meeting with a member of the Farelogix team.